Ukrainian manufacturer Antonov is considering its own low-cost airline. The company’s director Mykhailo Kharchenko said that although it’s cheaper to build aircraft and later lease them to other carriers, the possibility of creating Antonov’s low-cost airline is discussed. Turkey, Egypt, and Bulgaria are the destinations where the low-cost carrier would fly first of all “because when the season of holidays begins, the demand for flights to these countries from Ukraine sharply increases,” said Antonov‘s director. The first question to be answered is which airport Antonov’s passenger airline would fly from. Another problem Antonov faces now is a lack of planes for a low-cost airline. The manufacturer has several An-148 and An-158 passenger planes in its service, some of which were previously operated by Ukraine International Airlines and AeroSvit. However, these aircraft do not fly now as additional investments are needed to restore their airworthiness. 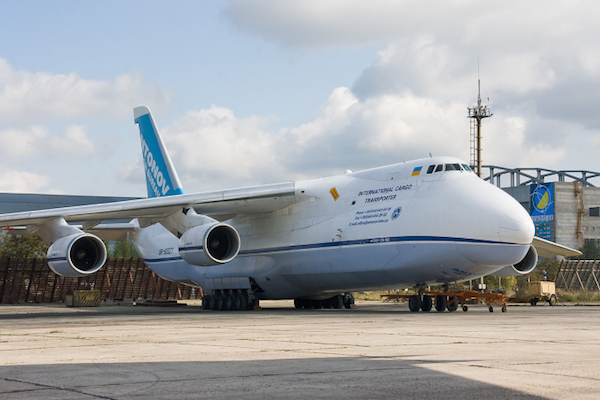 Nevertheless, Antonov is planning to extend its cargo fleet by adding more heavy airlift transport An-124 Ruslan aircraft, Mykhailo Kharchenko told RBK-Ukraine. This type of plane is not produced anymore, so Antonov can only buy it from other airlines. For now, three other carriers operate An -124 – Azerbaijan’s Silk Way Airlines, UAE-based Maximus Air and Russian Volga-Dnepr Airlines. Volga-Dnepr has the largest An-124 fleet – it consists of 12 aircraft of this type. Because of political tensions between Russia and Ukraine, the cooperation between Antonov and Volga-Dnepr Airlines was suspended in 2016. However, in November 2017, Antonov confirmed that it will still provide technical support of An-124 Ruslan aircraft currently operated by Volga-Dnepr.